A pulley is defined as "A wheel with a grooved rim around which a cord passes. It acts to change the direction of a force applied to the cord and is chiefly used (typically in combination) to raise heavy weights"
Note: A good way to remember what to divide by is to count the number of ropes in the picture. 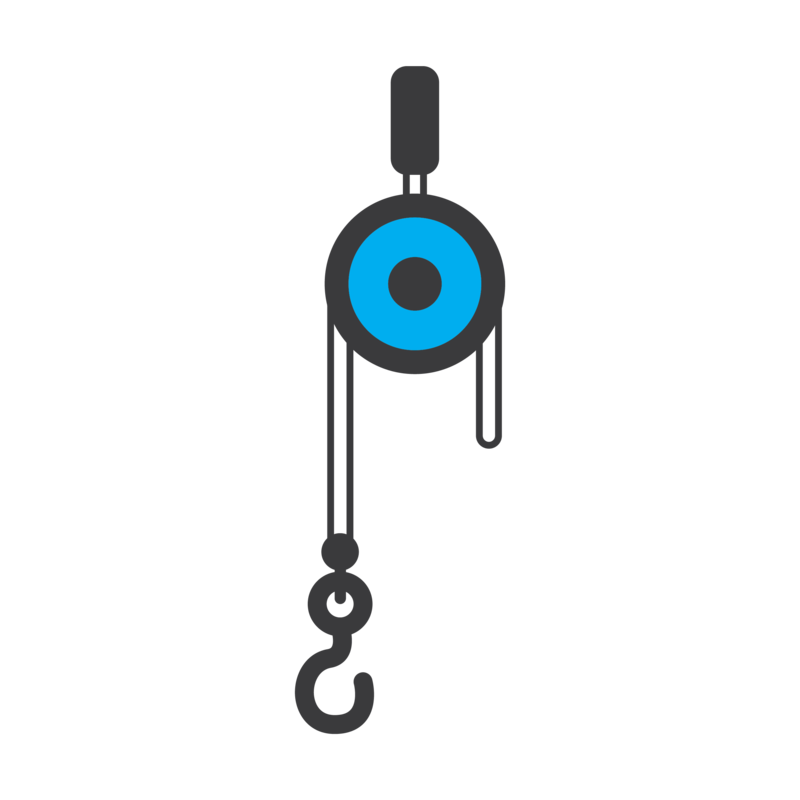 In this example, if you look at the Y pulley, there are two ropes. 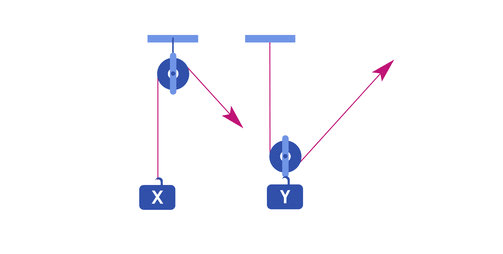 If we where to add another pulley, there would be three ropes, therefore meaning you would have to divide by 3. Find more pulley examples here.